Do airline crew get adequate first aid training? In the wake of a woman receiving improper first aid for burns on a Ryanair flight, questions are being asked about whether airline crew get adequate first aid training? Ryanair hit headlines recently after a passenger was burnt by scalding tea on one of its flights – and the incident has cast doubt over whether cabin crew are getting the right first aid training. Val Tredget, 51, suffered burns on her legs after her tea spilt on a flight to Budapest. While accidents happen, the first aid care she then received from a flight attendant appeared to be incorrect. However, as Ms Tredget had already identified, the “first aid” offered to her totally contradicts the St John Ambulance advice for burns. The organisation recommends the following: “Start cooling the burn as quickly as possible. Run it under cool water for at least ten minutes or until the pain feels better (whichever is longer). If there is no water available, you could use cold milk or canned drinks. Ryanair refused to comment on why first aid best practice wasn’t followed. Ms Tredget had peeling skin and blisters on her legs; the incident has now left her badly scarred. However, the airline did not respond when asked why Ms Tredget was given first aid that does not fit with accepted best practice. Independent consumer travel expert and former MD of Holiday Travel Watch, Frank Brehany, told The Independent: “Hot drink spills are a common feature of commercial flights. Sometimes these incidents will occur because of the cramped conditions of an aircraft and sudden turbulence experienced in flight. “Apart from European and National Regulations, each airline will be further guided by their chief medical officer who will input into how staff are trained and the type of first aid materials that can be carried on aircraft. In addition to the question of training, airlines have come under scrutiny with regards to life-saving equipment. 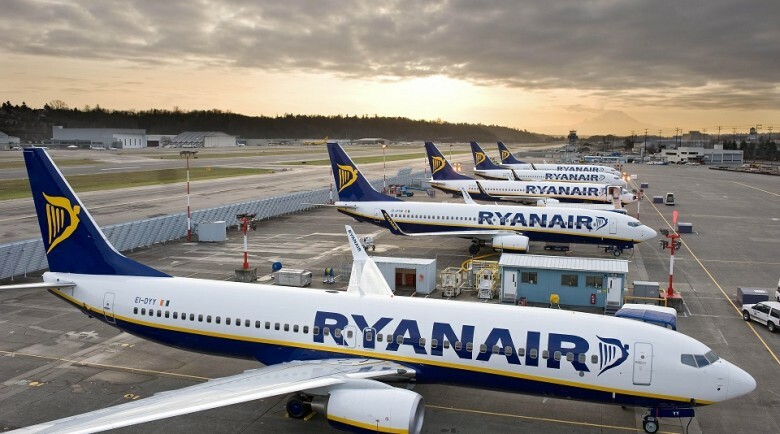 In June 2015, coroner Alan Walsh urged European airlines to carry defibrillators – which they are currently not required to do – after a woman died of an undiagnosed heart condition onboard a Ryanair flight. A defibrillator can shock the heart back into action after cardiac arrest, but there wasn’t one on board when Davina Tavener, 47, collapsed. Walsh said: “I don’t believe there is any difference between short-haul flights and long-haul flights. It takes a second to have a cardiac event and, sadly, cardiac events don’t choose whether they are 10 minutes into a flight or 10 hours into a flight. He said he would be writing to the European Aviation Safety Agency, the Civil Aviation Authority and the Irish Aviation Authority about the possibility of installing defibrillators on board. Why not check out or range of courses for first aid including courses such as First Aid at Work, Paediatric First Aid, Sports First Aid, Pet First Aid and many more – click HERE for course descriptions and our planned courses for the following 6 months. We will always do our best to accommodate your requests and unlike so many other providers we have NO MINIMUM NUMBER REQUIREMENTS! Don’t believe how good we are? Look at our feedback/testimonials at the bottom of the home page to read what our customers say about us.